At the top of a very full evening program of dance, the curtain rose upon the confident cue of a very young, yet extremely poised, male dancer. With the full complement of students dressed all in white, choreographer Paul Knobloch inverted expectations by beginning with a climactic stage picture. As Grand Défilé unfolded, a cavalcade of ever flowing snippets of classical dance were performed with striking precision. Students in younger Levels continually presented Senior students in solos and duos to give a quick taste of their especial talents. Dvořák’s music provided a series of highpoints as Knobloch filled the stage with beautifully symmetrical patterns using varied combinations of the 116 students. Part way through, the rear black curtain rose to reveal a female dancer sporting an enormous white cape. As she was lifted, the youngest dancers gathered under the maternal care of this giant canopy. Finally, the action built to another spectacular picture, this time with one of the youngest ballerinas at the top. 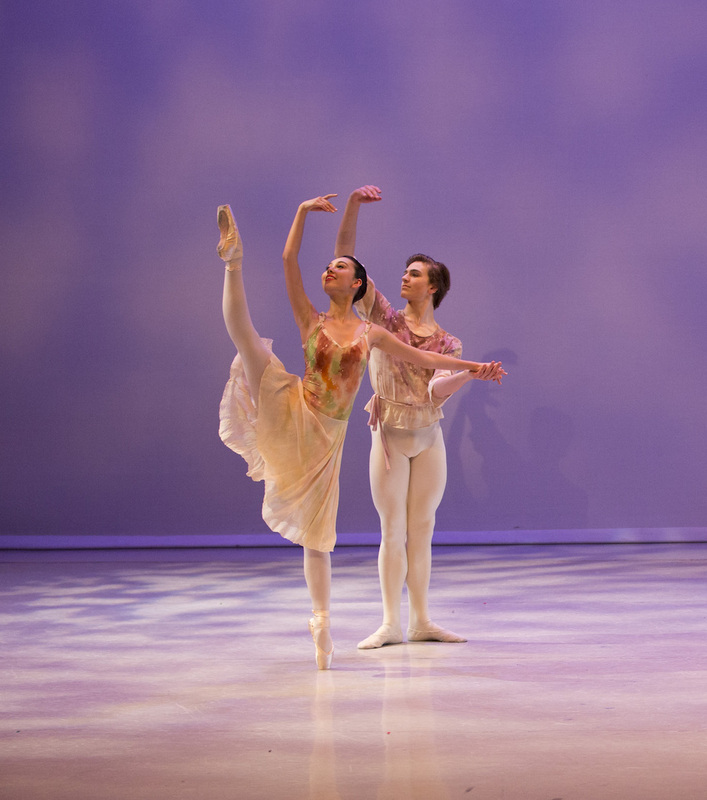 Having been seen last weekend in another student dance season, George Balanchine’s Serenade again proved why it is such an exceedingly popular work for young dancers. The work has the scope for a traditional balletic experience, with a legacy going back decades, whilst also having a freshness and vigour that engages both dancers and audiences alike. Level 8 students filled the vast State Theatre stage with serene loveliness. 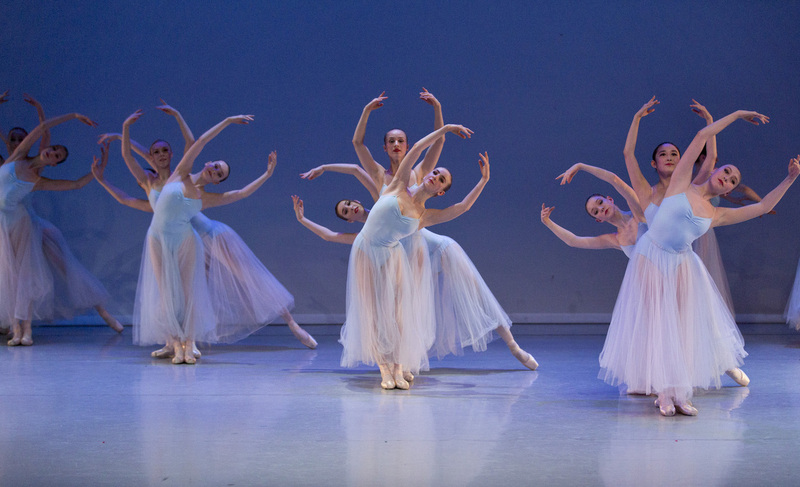 Under the tutelage of repetiteur Victoria Simon, the predominantly female cast worked with calm focus to create Balanchine’s delightful formations. Willowy Serena Graham danced with elegant flair as The Latecomer, maintaining her composure with an experienced air when her hairpin almost refused to be pulled out out. Graham’s balance and agility in the difficult final lift were excellent. Joseph Romancewicz had a strong masculine presence, supportive of Graham yet impressively commanding in his own right and more than man enough to accompany 16 girls at once. After the first interval, a revival of Mark Annear’s 2007 work Allegro Vivo provided a focused classical showcase for the graduating students. Girls in glistening white tutus and boys in white with black velvet vests danced to the first movement of Bizet’s Symphony in C, bringing a strong association to The Australian Ballet’s season mere weeks ago. 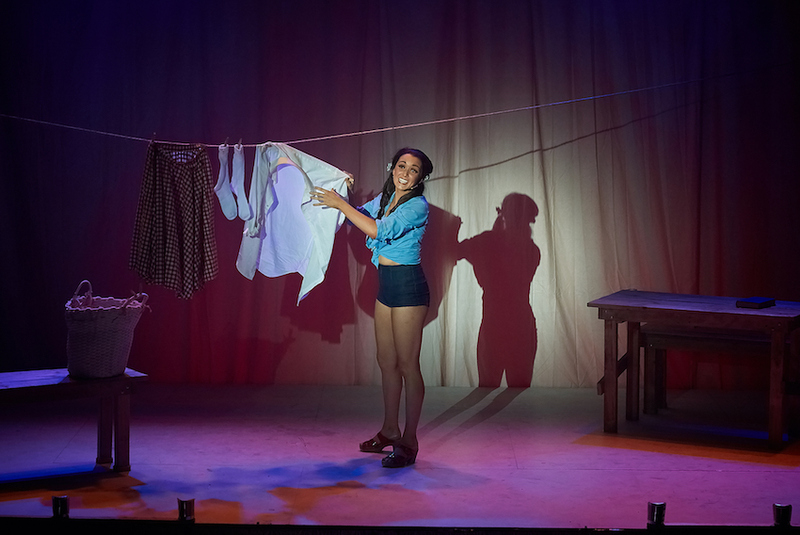 Over and above the excellence of the students’ dance ability, the radiant joy they emitted while dancing was a key aspect of the pleasure for the audience in enjoying this work. A younger group followed, with students mostly from Level 4 dancing Knobloch’s new work entitled Haydn Symphony. Dressed in white, with light brown trim, the young dancers moved with speed and grace to Haydn’s dynamic, melodious music. Simon Dow, one the School’s Resident Choreographers, prepared Garland Waltz last year with Level 4 students. Presented this year by those same students, now in Level 5, the piece drew satisfied sighs from the audience as Tchaikovsky’s The Sleeping Beauty music began. 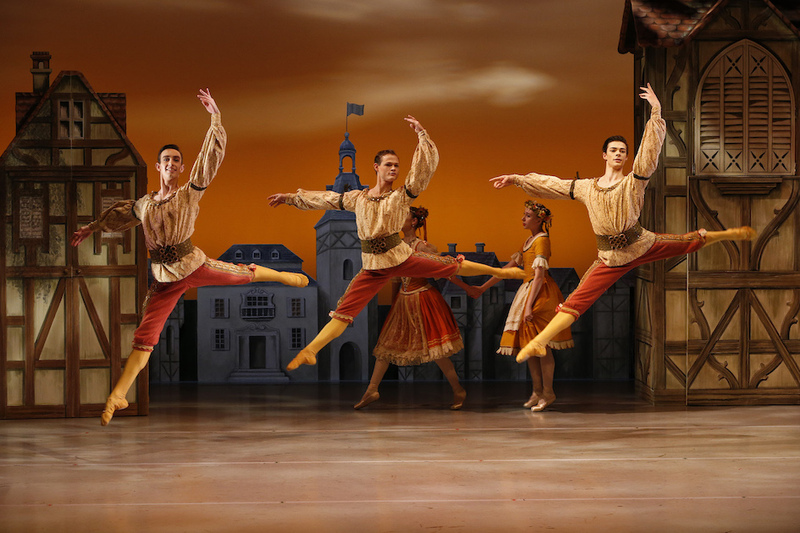 Dressed in festive mid-European costumes in front of a verdant green background, the dancers brought out the abundant pleasure of the piece, working with evenly matched quality. 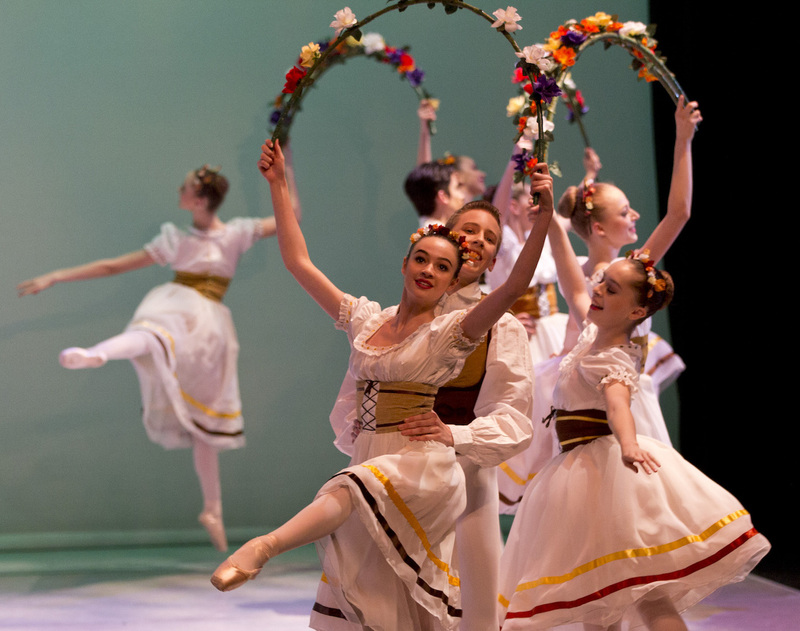 A revival of Annear’s Jubilation saw the program start to move toward modern dance. In striking dancewear that featured splashes of coloured paint, Level 6 students danced to the wonderfully melodic Waltz from Glazunov’s Lady Soubrette before a pretty pink background. The students successfully captured the effervescent joy of the piece, giving a charming group performance. In a very exciting new modern work by Lucas Jervies, Level 7 students thrilled the audience with Gorilla. Dressed in sleek grey and black, the dancers performed pulsating floor work and fascinating rapid-fire canons to the music of Philip Glass. With unusual physicality and sharply focused energy, John-Paul Lowe and Sydney Merrilees stood out in featured work that saw them channel a pair of animals that were checking and impressing each other. This was a terrific company number that the dancers seemed to enjoy as much as the audience. Resident Choreographer Margaret Wilson concluded the act with a new modern work with an acrobatic flavour. The highly skilled dancers of Level 8 danced in brief blue unitards against a blue background in a stimulating series of highly athletic interactions to the insistent drive of Bryce Dessner’s score. Following the second interval, the curtain opened to an eerily dark stage as masses of dancers from Levels 8, 7 and 6 gathered centre stage under an ominous fog. Dow’s new work The Call begins with the whistling winds of “A Breath of Coolness” before moving on to the well-known strains of Ravel’s Bolèro. This rather extraordinary piece featured a continually increasing set of dancers centre stage while dozens of corps de ballet walked back and forth upstage. 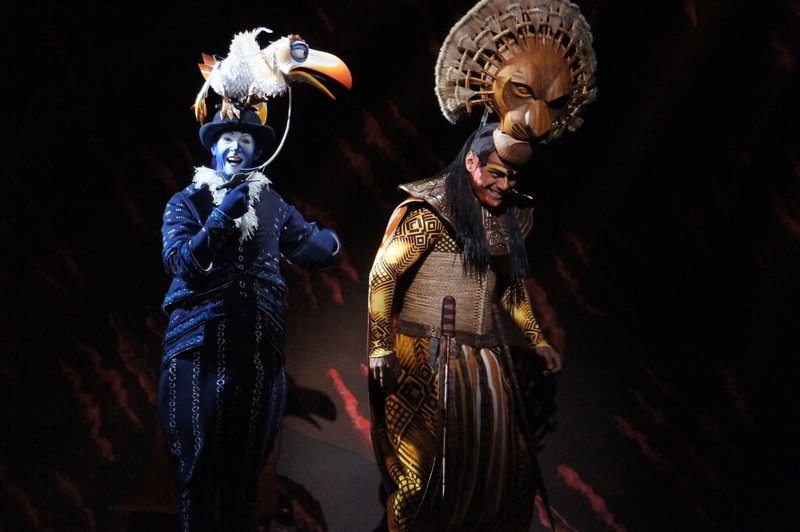 The choreography matched the music both in its hypnotic effect and in its increasing intensity. Shunyo Mori gave an astounding performance as the featured dancer of the piece, projecting an electric presence as he danced the mostly uniform choreography with his own distinctly individual flair. The Australian Ballet School’s Showcase 2017 played at State Theatre, Arts Centre Melbourne at 7.30pm on Sunday 17 September 2017. The performance was dedicated to Miss Betty Amsden AO DSJ, one of The Australian Ballet School’s most treasured supporters.